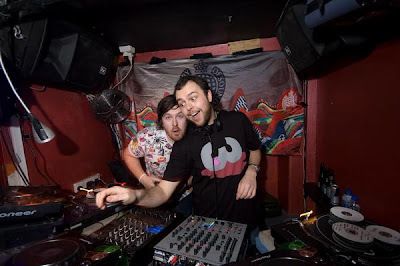 The Aston Shuffle from the looks of their myspace are a fun loving DJ duo from of course Australia. Home of the best dance music on the planet the last several years. Besides remix work they recently started putting out some of their own original material like this excellent track/video for 'Do You Want More' with an asian game show theme. Aren't those just the best! So funny! Watch out for the surprise ending. Damn! Here is that plus a superb dance remix for Bunny Lake's 'Into the Future' that is the hottness!